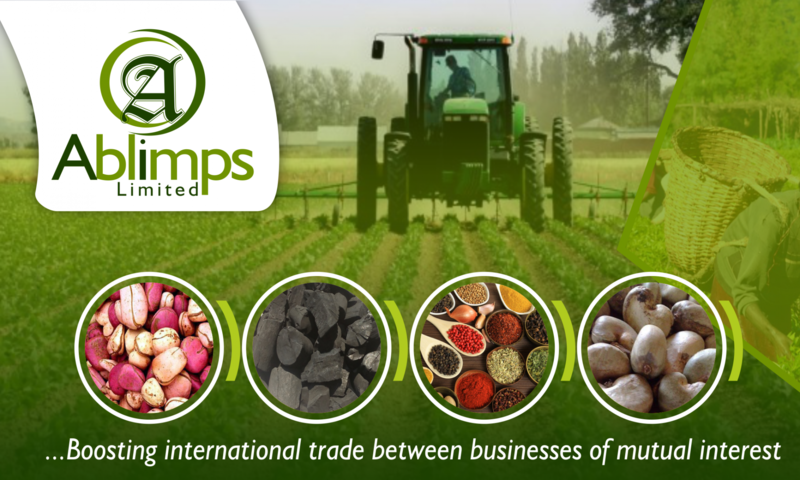 Ablimps Limited (RC: 1115937 ) is a leading commodity trading company registered in Nigeria, which specializes in the export of cash crops and other allied agricultural products and services. We specialized in the exportation of Natural Hardwood Lump Charcoal, Raw Cashew nuts, Dried Spilt Ginger, Bitter kola, Tiger Nuts, Sesame seeds, Dried chili pepper, Dried hibiscus flower, Garlic, Cocoa beans, Groundnut, Palm oil and several natural commodities. We look forward in partnership with your organization at all times. Ablimps Limited’s Page is under supervision and internal development in order to service our Customers Better.